6mm crystal comet argent light (CAL) xilion bicones from Swarovski®. 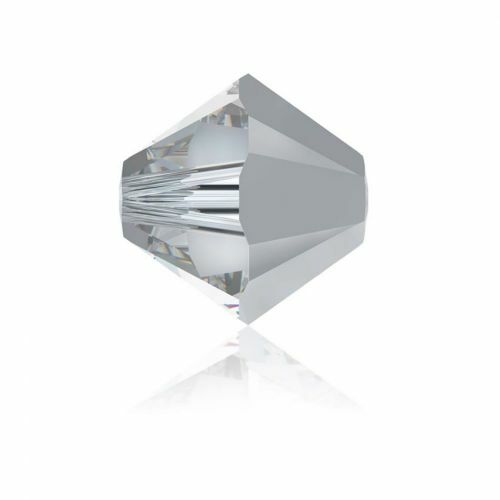 Now with 24 facets these diamond shaped Swarovski® crystal beads are great for projects where you need that extra sparkle. Threading hole measures approx. 1.25mm. CommentVery good silver effect. Does not look grey like many silver items.